I recently posted a picture on Instagram showing that I'd already organised most of August's blog posts for Beautifully Superfluous and it lead to the suggestion from Bex and a couple of other lovely bloggers that I should write this post. So here it is! I'm not a naturally organised person if I'm completely honest. It takes me a lot of effort for me to be organised when it comes to anything - the house, my relationship, this blog. If I had my way I wouldn't think about anything in advance at all. However, Beautifully Superfluous is my baby - it's the hardest and longest I've ever worked at something that isn't for any other reason than sheer enjoyment - so I treat it as though it was an actual job and an actual job needs some organization (at least, that's the way I feel about it). I get my inspiration for posts from almost anywhere. Whilst I do a lot of product reviews I've found that I do want to throw some more interesting posts into the mix at times. For this I can look almost anywhere for inspiration. 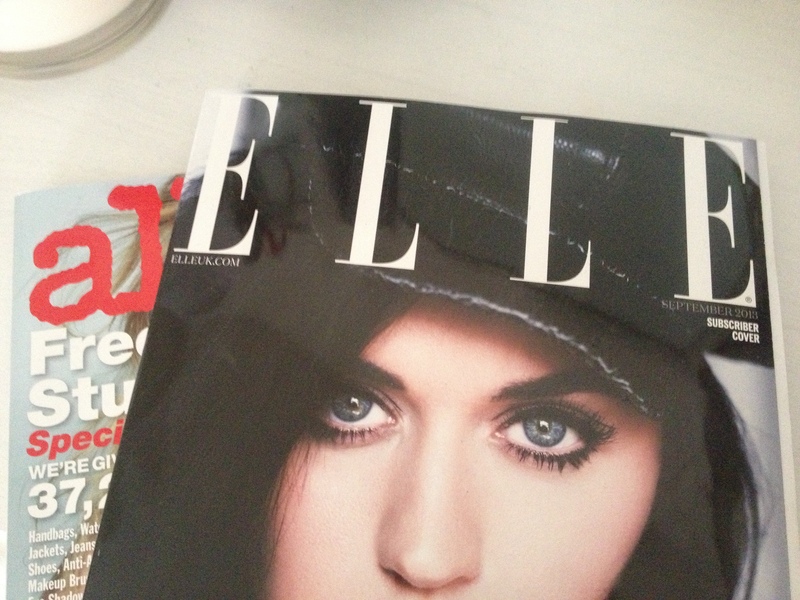 I highly recommend reading Elle UK as it's the best glossy on the magazine shelves for beauty. Their website is also full of beauty ideas which come in really useful. I also buy Grazia, Vogue and sometimes Cosmopolitan to flick through too but again, their websites are just as good if not better, for inspiration (and drawing up lust lists). I love Allure (the latest issue is courtesy of Islay which she bought back from America) but a subscription in the UK is pretty steep so I only get it every so often as a treat. My bookshelf is also scattered with books that really do provide some great ideas. 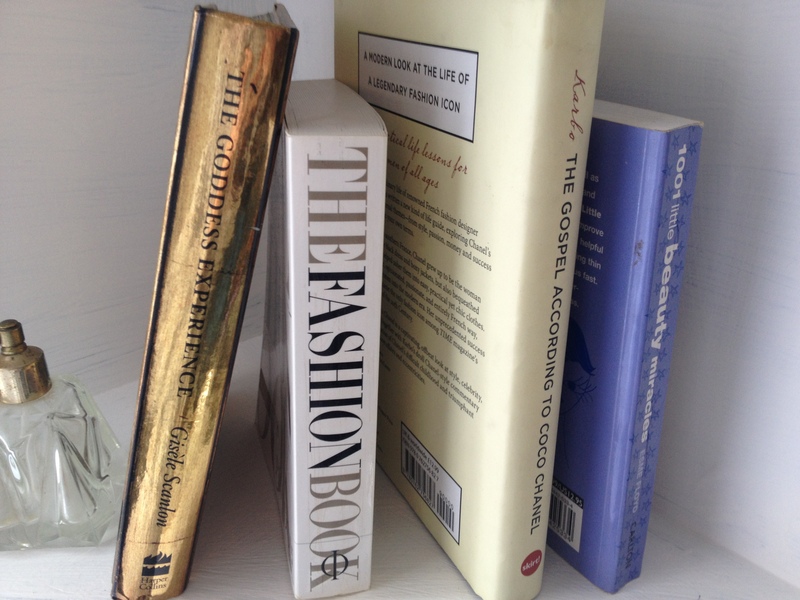 I highly recommend getting hold of The Goddess Guide and The Goddess Experience by Gisele Scanlon (basically a blog but in book form - just beautiful) and 1001 Little Beauty Miracles by Esme Floyd (loads of great beauty tips and ideas). There are so many books relating to beauty out there. Apart from the aforementioned, inspiration can literally come from anywhere - other bloggers, YouTube, Twitter, even the women I see on a regular basis in reality. I note everything down on little scraps of paper that I keep littered about the house (literally every envelope - bill in it or not - has a list of ideas on it). Planning is possibly the most important part for me. I like to have everything set out at least a month in advance - especially after I've had technical issues which have meant that this blog has been post-less for a month or so before now. I take my ideas/beauty reviews, carefully research the brands and ingredients, other posts and reviews etc, and then develop my posts from there. I also make notes when I test out new products - such as first impressions, value for money and the usual things like scent, texture, longevity etc. I probably take things far too seriously - this blog is hardly going to be the next big Digital Title (as much as I would love it to) - but I think it helps me to know exactly what I have available when I come to write my posts. I may not include all the information I've collected but at least it's there if I do need/want it. 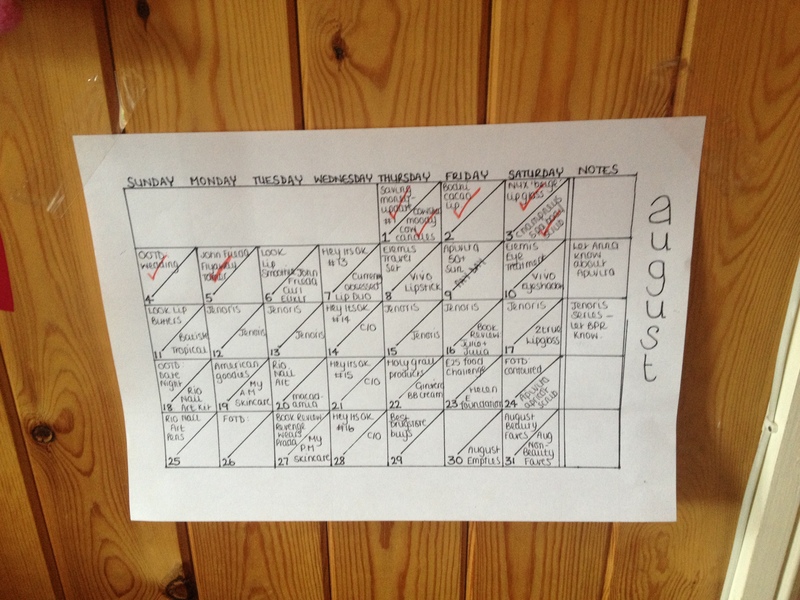 I use a calendar format for my planning, drawn out on plain A4 sheets of paper, that I keep near to my laptop. I tend to blog at the kitchen table, as I don't have a proper desk/blogging area. If I have friends or family round I take the calendars down and keep them in a folder so people don't nose at it (I can be a little protective of my planning - especially with family because they tend to take the piss out of my blogging). I also use a multitude of different diaries so I can keep track of everything day-to-day - I note down page views each day from both Blogger and Google Analytics (now it's installed properly) and keep a close eye on which posts are the most the most popular over the course of the day, week, month and all time. I already have my diary for next year ready to fill in. I schedule my posts for 9am in the morning and, if there's a second post for that day, for between 1pm-2pm in the afternoon. Scheduling is something I personally feel works well for me and my posting preferences but I do realize some people don't like scheduling, don't like the idea of reading scheduled posts and like to blog spur-of-the-moment. Each to their own. This way works for me. Ideally I would be posting three or four times a day but at the moment, with day-job commitments, it isn't possible. Maybe in the future it will be. I used to be pretty useless at keeping on top of tweeting my new posts and then I discovered TweetDeck. I love TweetDeck - it allows you to schedule tweets. This means that I don't have to remember to tweet my link all of the time - I can simply sit down and plan out my blog related tweets instead and leave my 'lifestyle' tweets for when I want. 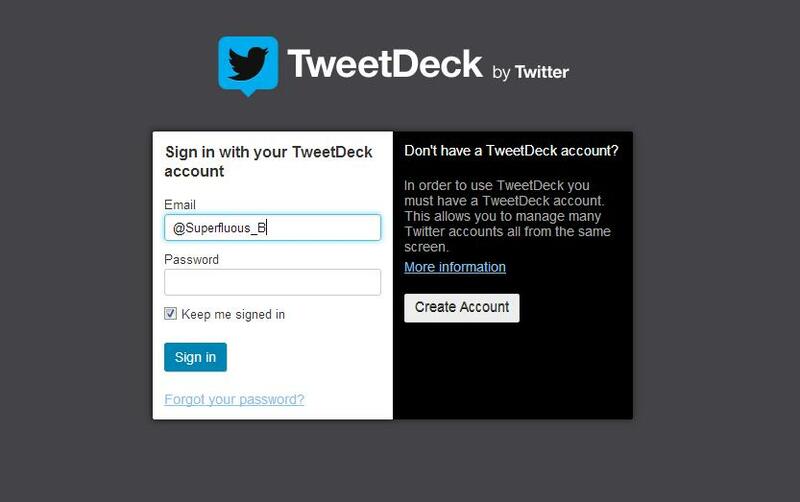 I highly recommend getting a TweetDeck account if you don't have one already. It's really good and has helped me with my blog promotion so much. I have a Pinterest and We Heart It account linked to Beautifully Superfluous. These are things I update whenever I feel like I want to waste hours trawling though beautiful pictures. I usually do this before bed because I can waste whole blocks of hours on these websites. My photography isn't brilliant and therefore I haven't 'pinned' any of my own photography yet but when I finally get myself a decent camera I'll definitely be pinning photos that I'm proud of. I also use Stumble Upon a lot. This is a great site for promoting my blog. If you haven't got an account on Stumble Upon then go and get one. It drives so much traffic to your blog. You can 'Add Page' on the site and add your own blog post page, fill in the form (don't forget the tags because they're so important when people search on Stumble Upon - I don't usually bother with the 'comment' section though) and click 'add this page'. What I've listed above takes a lot of time. I happen to have a lot of time on my hands when I'm not at work so it makes sense for me to fill it with something I enjoy doing. Obviously, if I had children or a full time career then I wouldn't have as much time to myself and I wouldn't be as organised or be aiming to post as often as I do. Do whatever works best for you and what time you have available. Let me know what your tips and tricks are for organizing your blog. I'd love to learn something new myself. Such a great inspirational post. 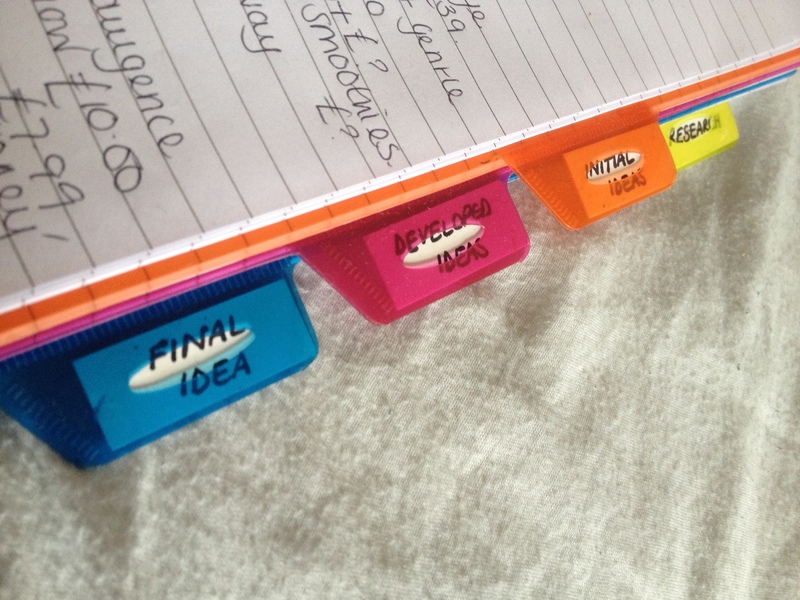 Has definitely inspired me to get more organised! I definitely need t become more organised and i'd never thought about using stumbleupon before! I really liked this post, it was so helpful as i've only just started to blog in the past month or so. Will definitely be checking out the stumble upon site! I've recently bought a notebook to organise posts! I'm nowhere near as organised s you, but it's a start. Sometimes I struggle for inspiration, I never thought to read magazines! I never knew you could do that on Stumble Upon, I will definitely have to get back to using it again! This is a very insightful post! Shows just how much you put in to your blog. I'm signing up to Stumble Upon as we speak now. It's great when people share things like this - so many people are oddly protective of helpful websites etc because they don't want other people to be successful! Thanks so much for sharing. This was so helpful! Already getting more traffic into my blog, so thanks! Such a great post! I've recently started blogging and I'm trying to be as organised as possible! Thank you for the tips.